While Grease anthems suggest that romance is only for "those summer nights," any Austinite knows that along with seasonal allergies, fall also brings a certain seasonal relief: at last, we can socialize without the worry that sweat stains will outweigh even the sweetest of anecdotes. Perhaps you’re picking out a place for a fancy first date or maybe you’re married and need a new neighborhood "go-to." Dating, married or signle, why not deepen your affection for our great city and get to know your own neighborhood? Let us help you save (a little) gas money as you explore the eateries and entertainment venues in your own backyard. For our first installment, we cover our favorite neighborhoods north of the river, or as The Daily Show with Jon Stewart dubbed it last week, "the organic bramble and algae puddle farm" we like to call Lady Bird Lake. Komé owners Také and Kayo Asazu combine authentic Japanese home cooking, a New Orleans influence and a mutual love of Austin to create a masterpiece that is as much a feast for the eyes as it is for taste buds. Salty edamame and pink Snow Maiden sake should kick off your colorful experience, along with the sweet orange caviar (roe) garnish on several of the rolls. Kome offers a better value than many other sushi options in town which means you're guaranteed to leave with a full belly — and a full wallet. Every Tuesday after 5 pm, both I Luv Video locations offer free beer while you browse through extensive film collections. 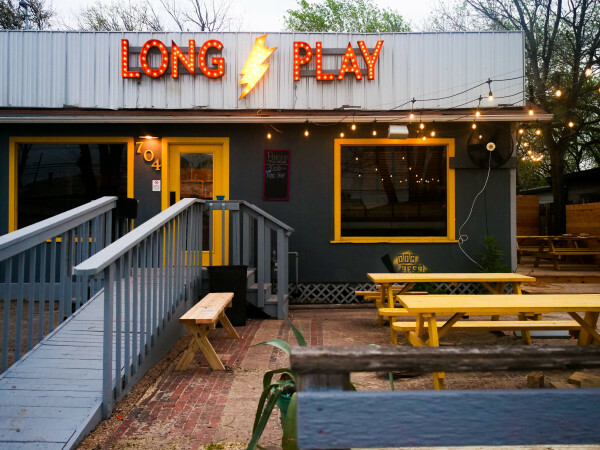 The original location on Airport Boulevard has been in business since 1984, making this Austin establishment even older than the Blockbusters of your childhood. New releases rent at $4 for two nights, while stock titles are $2.75 for five nights. Make it a truly retro experience and hunt down all six Star Wars for $1 each in the VHS section or sift through other classics like Independence Day, Armageddon, Braveheart and The Sandlot. Whether you're planning a lunchtime rendezvous or happy hour meet up, North Italia makes the perfect pre- or post-shopping experience. The salad selection varies based on season, but some of our favorites include the summer golden beet salad and the recent heirloom offering. Pair that with the fig and prosciutto pizza and a glass of wine and you have a perfect (and romantic) meal. After an indulgent dinner, head over to the iPic theater for a nap — or a movie. The fully reclining, premium plus seats come with pillows, blankets, popcorn and food service. The only thing lacking is an actual butler to drive you home and tuck you in to bed after the show. For a sophisticated Sunday date, ease into your morning with hibiscus vanilla mimosas at Apothecary Café & Wine Bar. The Grapefruit Brulee is a sweet start to the day, and though the best egg poachers must toe the line between too runny and overdone, the "perfect egg" menu description on the Pork Cheek Benedict is no lie. We always ask for some extra goat cheese on the brulee to make it even more wonderful. To stick with the vintage theme of Apothecary’s decor, walk off your mimosas and head across the street to Top Drawer for a browse. They offer everything from dishes and clothes to cute knick-knacks, couches and even a portrait room in the back. Keep the fun going with a drive over to North Loop and browse at Room Service Vintage and Rave On. 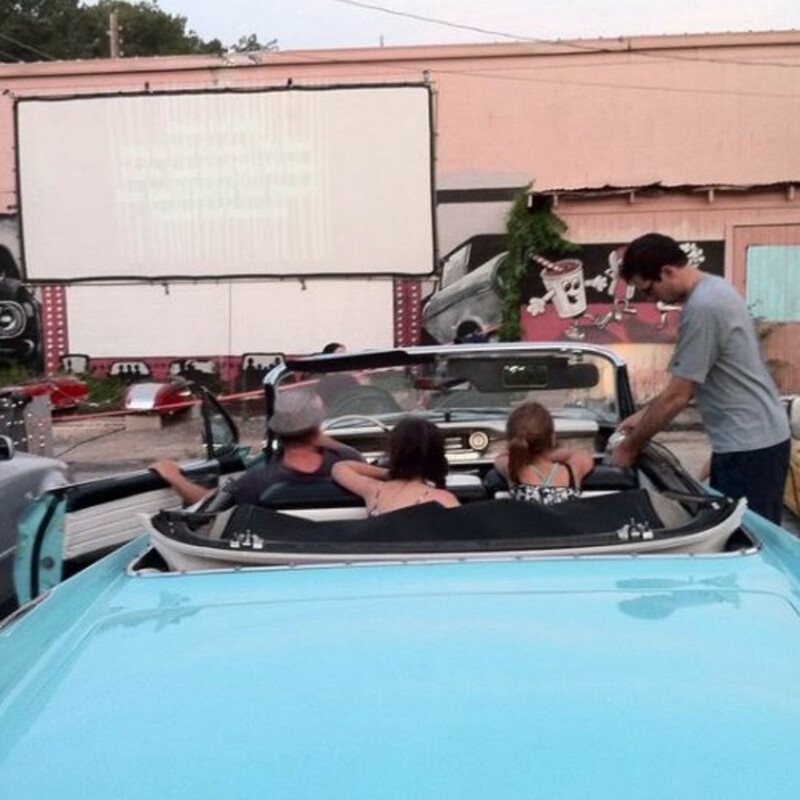 After dinner, head over to the Blue Starlite Drive-In Theater to enjoy these November nights at their finest. This month features a Harry Potter fest from November 6-16, so don’t be a muggle and miss out on the fun. Groupon offers a $10 car slot, and the vintage speakers are free on a first-come, first-serve basis. Don't wanna drive? 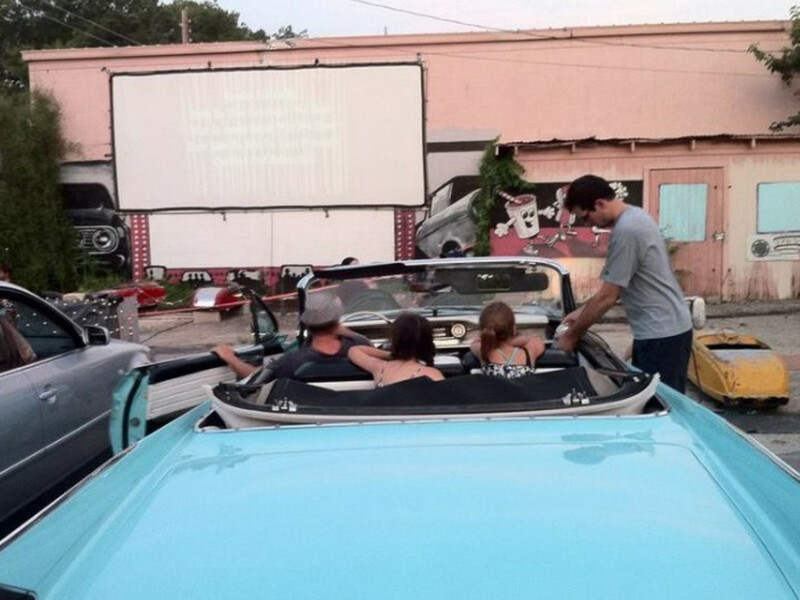 Bring a chair and blanket and enjoy the show with a $5 walk-in ticket. 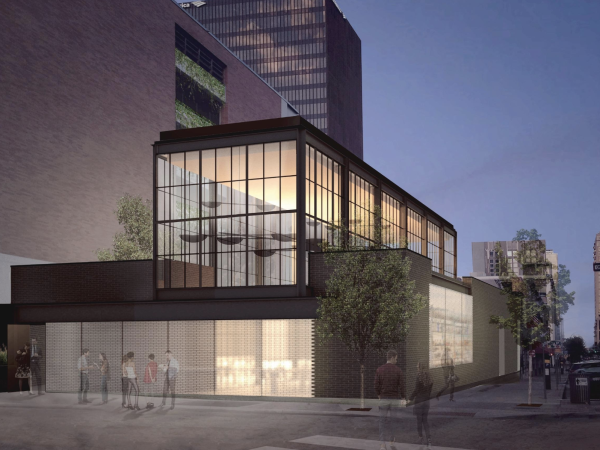 For craft beers, specialty burgers and tasty cocktails, head straight to The Silo on 7th. Opened in March, the view from the rooftop patio makes a perfect twilight dinner setting. The Silo Fries have ruined all other fries forever and come complete with two fried eggs and generous chunks of bacon over a beautiful mess of hand-cut potatoes. It's the kind of dish that even Ron Swanson would love — just be sure to save some of cayenne ketchup for your burgers. If you’re achin’ for more bacon, the Comal burger won’t steer you wrong, and the Attayac is a total crowd pleaser with ground bison and blue cheese on a Kaiser bun. For a Bohemian adventure, sidle over to the East Side Show Room and walk straight back into the 1920s. Complemented by dimly lit chandeliers and a silent film projector, the works of local visual artists line the walls, and the décor will have you on the look out for F. Scott Fitzgerald himself. Live music ranges from jazz to gypsy ensembles, blues and Spanish guitar. 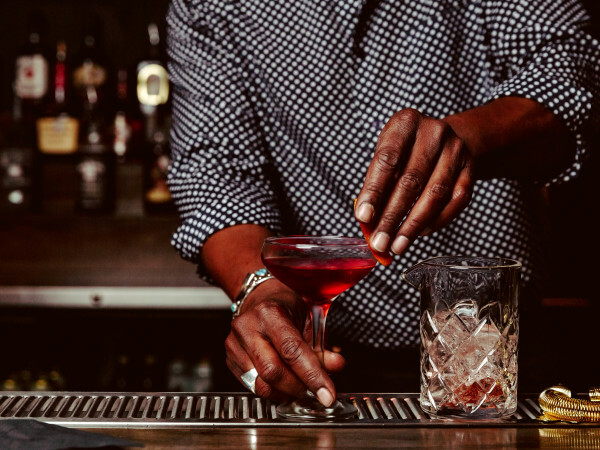 Cocktails like the Airmail, French Retreat and Southern Belle epitomize the bar’s focus of pairing hand-selected spirits with local fresh-squeezed juices. Definitely try the watermelon and Feta appetizer … even if you’re still full from the Silo. Now that we can enjoy the patio seating without melting, people-watching at Second Bar + Kitchen is as classy as it gets. Pizzas for two are a budget-friendly option, but be warned: picking just one poses a real life Sophie’s Choice. Will it be it the Pizza Bianco with its ricotta, goat cheese and arugula goodness? Or the Black and Bleu with a black truffle and bleu cheese blend? You’ll just have to decide for yourself on this one. That and the extensive cocktail menu are more than ample reasons for repeat dates here. Skip desert for late-night lattes at Café Medici’s downtown location, or wander into the Elephant Room for post-dinner drinks and nightly jazz. 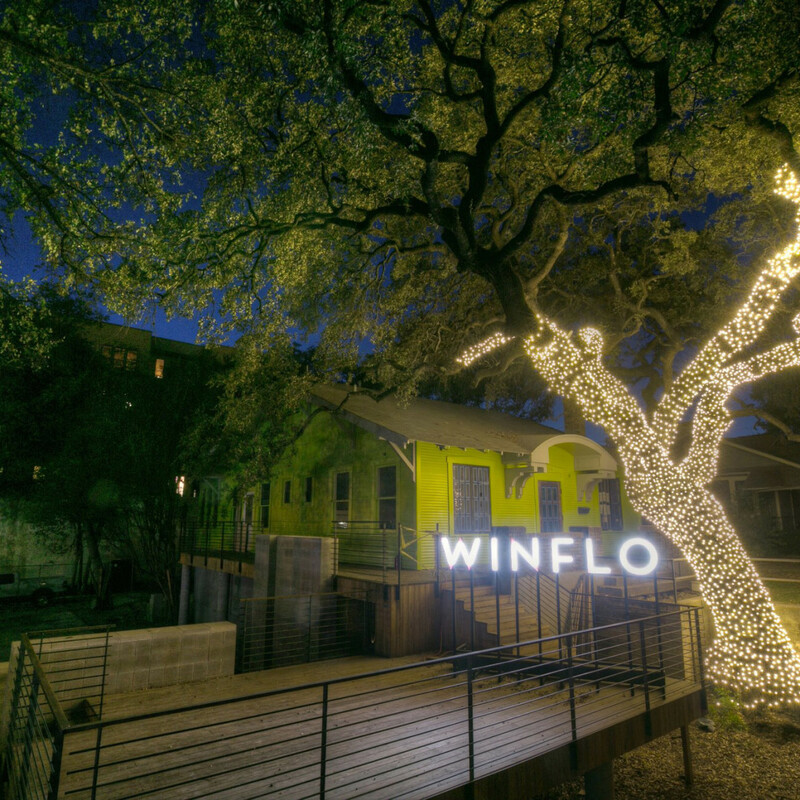 Perhaps best known for its brunch offerings, Winflo’s happy hour really is happy. The Solerno Margarita, made with Milagro Silver tequila and Italian blood orange liqueur, is nothing short of life-changing, and while none of the $6 appetizers will disappoint, the polenta fries are our personal favorite. We recommend the tables by the bookshelves, where antique portraits watch hungrily while you indulge, and where old books are available for light reading should your date go to the bathroom. For Friday night entertainment, walk down West Sixth Street to the Rattle Inn for a whiskey on the rooftop deck or head inside for some country tunes and a little two-steppin'. 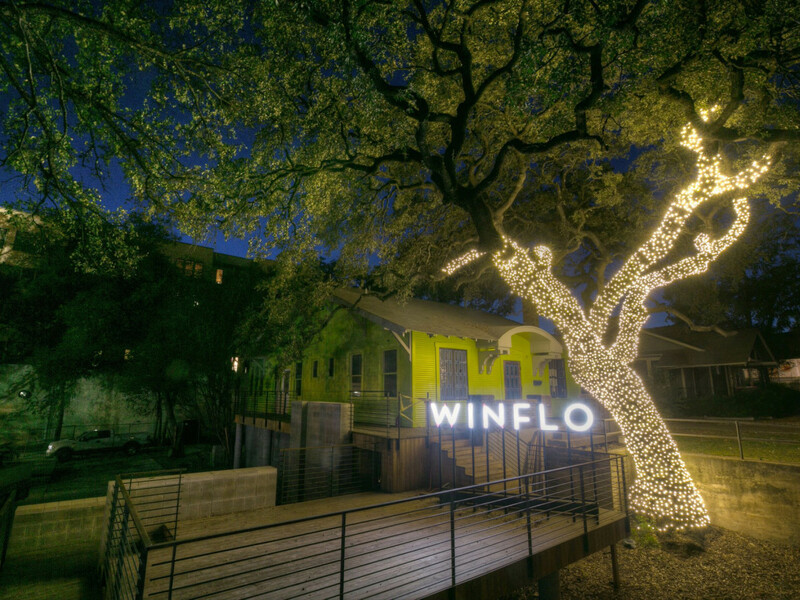 If you're feeling a little lazy, stay put in Winflo’s Listening Room for your live music fix. While there are several East Side Kings, the original Magnolia Café on Lake Austin will forever reign as West Side Queen. Whether you're hitting it up at 3 am for an order of queso after a boozy night out (the "Mag Mud" is pure magic), or indulging in a post-run brunch, Magnolia Cafe will always be our personal pancake mecca. And we’re not alone: President Obama’s recent visit garnered the unofficial White House stamp of approval to this old Austin favorite. Work up an appetite for omelets with kayaks or paddleboards from the Texas Rowing Center on West Cesar Chavez. Rent a double kayak for just $20 per hour or $40 for the day. Impress your date with your core strength and rent two paddleboards for $20 each.